Registration for the conference is now open. Limited seats available. 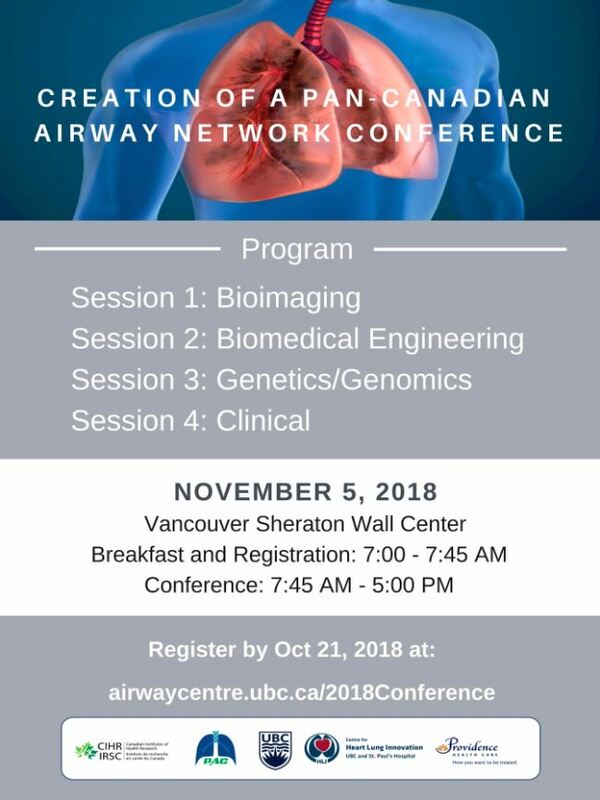 Please RSVP at http://airwaycentre.ubc.ca/2018Conference by Oct 21, 2018 (or until filled). Speakers include Drs. Jonathon Leipsic, Ma’en Obeidat and Chris Carlsten of the Centre for Heart Lung Innovation at St. Paul's.